Prepare for A Successful Sale: The “Summer Selling Season” will be here before we know it. NOW is the time to start preparing your house to sell for top dollar! The article below offers some good tips to help prepare your house to show it’s best. Making some small changes can greatly improve the marketability of your house and can lead to a faster sale at the highest possible sale price. Spring brings out home buyers en masse. 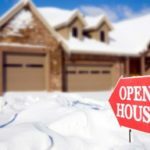 But in these waning days of winter, many home sellers are still hibernating. Well, it’s time to wake up! Although technically the peak home-buying period is still a few months away, the time to get your home in shape to sell is right now. “Put in the prep work before the season starts,” says Peggy Yee, supervising broker at Frankly Realtors in Vienna, VA. If you dillydally, you risk having to scramble to get your house ready to list. Even though it’s a seller’s market in many parts of the country, you still need to bring your A-game if you want to get the most value out of your home. So what can you be doing now? Before you start making repairs or updates to your home, you’ll want to enlist an expert who can guide you through the process; otherwise you could wind up wasting cash on things that don’t improve your home’s sales value. Cahill recommends interviewing at least three agents before settling on one. “You want a local expert,” she says. “Someone who knows the area and knows how to price your home. Statistics show that the median home spends 65 days on the market, from the instant it’s listed until the day it closes. But this number can vary widely. Curb appeal is important, but it doesn’t make sense to do exterior repairs until bad weather is over. Instead, use that time to make updates to your home’s interior based on your real estate agent’s recommendations. Go room to room with your agent and create a list of things you need to fix. Even small repairs, like fixing chipped paint or replacing a leaky faucet, are good to get out of the way during the winter. Also, “when you repair surface issues, buyers are less concerned about finding major problems with the home,” says Cahill. It’s also a good idea to have your HVAC appliances serviced by a professional now—“that way you can tell buyers that you’ve checked the system and everything is running well,” says Yee. Clutter can be a huge turnoff to prospective buyers. But even for nonhoarders, a thorough decluttering can take months, says Yee. “Getting rid of your stuff always takes longer than you think,” she adds. “Even decluttering just one room each week starting today will reduce stress later on.” Depending on how many personal items you choose to keep (donate or sell the ones you don’t, instead of schlepping them to your next home), it may make sense to rent a storage unit for a couple of months.